Looking back, I wish I had done a lot of things differently. Taken out less student loans, waited a bit longer to get a sleeve tattoo, and maybe I would have journaled more. I wish I had photos and videos and Facebook posts from my teenage years (er, Myspace posts…). There’s no use in tears though, because with the Momento app, I can begin collecting my 20s! 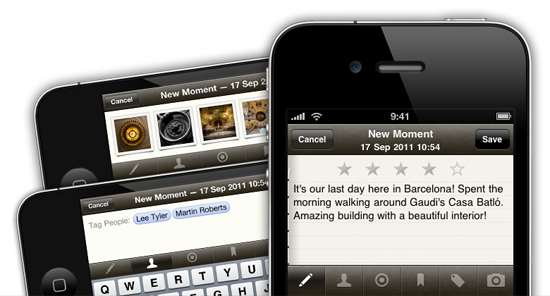 Momento is one of the most robust and fully-functional diary apps available in the App Store. It came out a few years ago (my first post was in August of 2010) and includes complete social integration. I love looking back at my tweets and Youtube videos from years past. It’s a little scary to have a full catalog of relationships, jobs and friendships, all documented by photos, notes and social media, but it’s way more awesome than it is awkward. 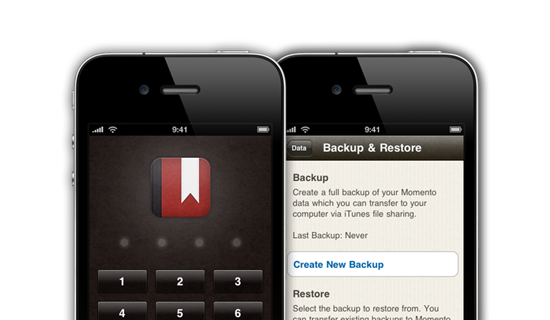 The app is password protected to maintain the personal privacy of a journal, and can be backed up so you never lose your memories. The app even allows you to integrate with Last.fm, Flickr and has tagging capabilities, so you can search your journal entries by person. It’s available for download in the app store for $2.99 (money well spent). This entry was posted in Apps, iOS Apps, Review. Bookmark the permalink.